My own created dress is finally done! However, I just drew this model and choosen the material, because I don't actually know the technique of sewing, but maybe one day..I hope very soon I will gain those sewing skills. Today I will share just few photos with you that you could imagine how it looks ! This is not the final result, but still I really love it.I will probably upset you a little bit, because I won't show you an outfit with this dress yet ( hehe !). I decided to keep it for one quite significant moment ! So,what do you think about this dress? 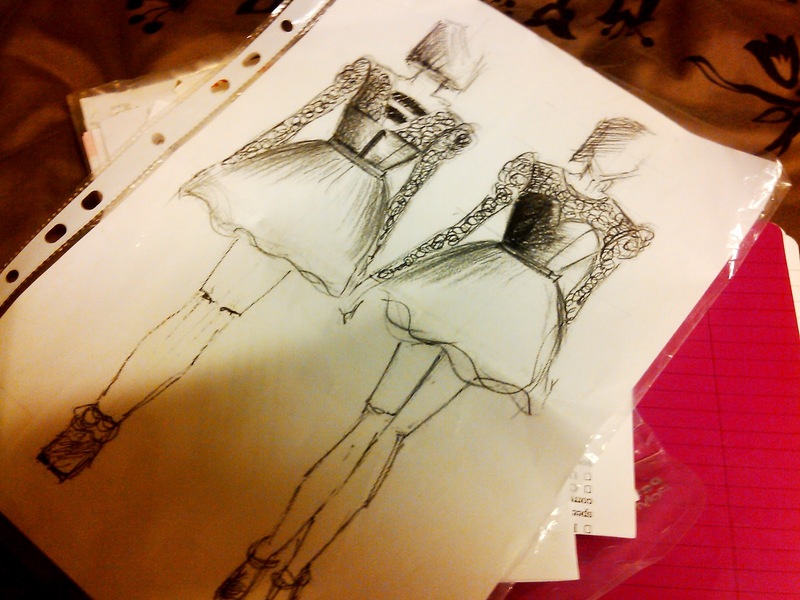 Are you in fashion design school? I'm not, but I am going to apply to fashion design course, so it is a pleasure to hear such a words!